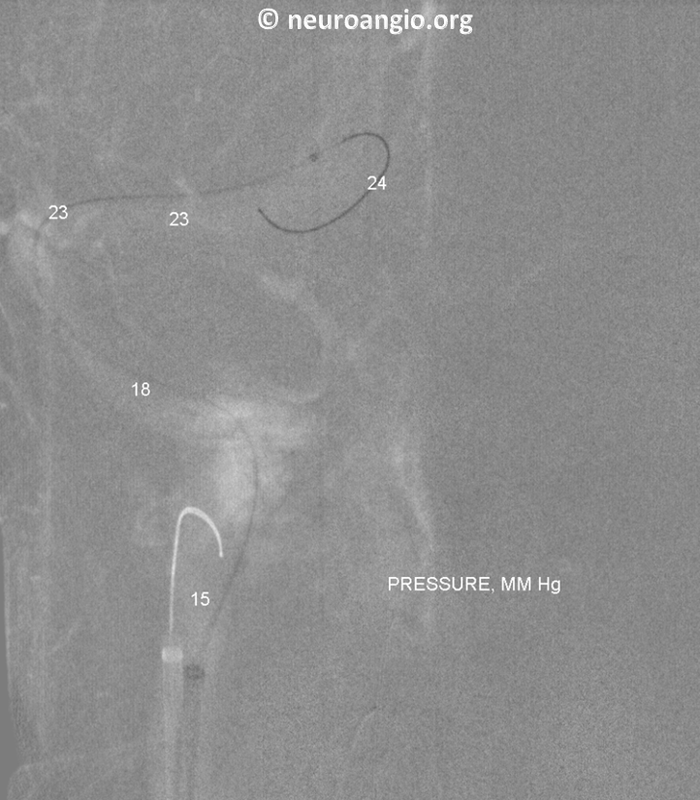 Here is a more nuanced case of venous pulsatile tinnitus. 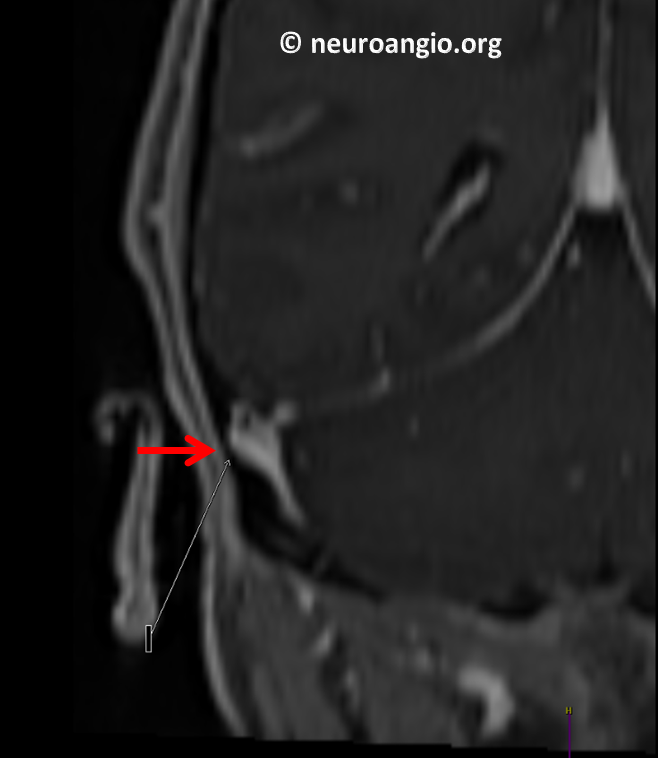 Venous sinus stenosis is perhaps the most under-recognized cause of pulsatile tinnitus today. 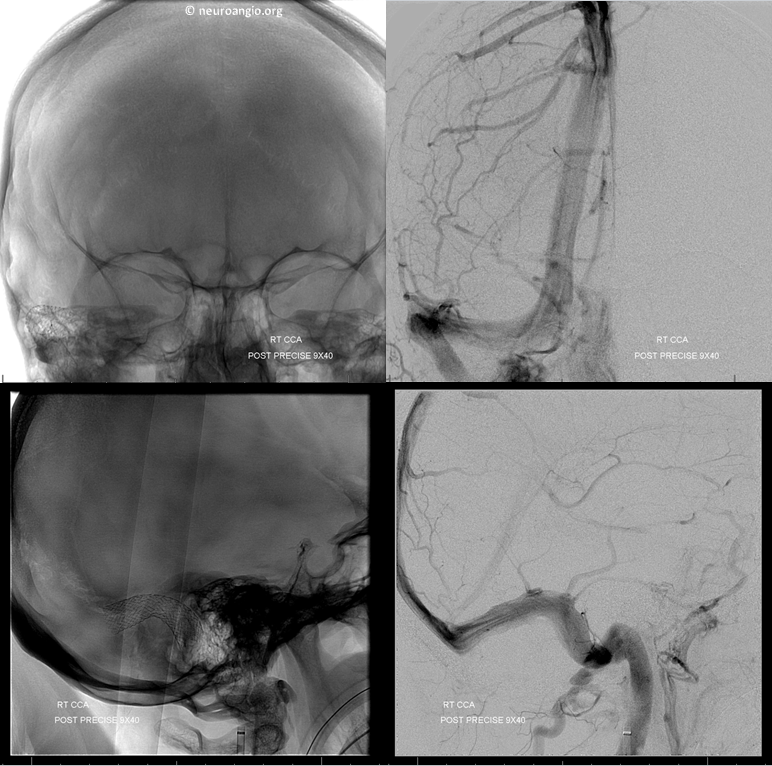 See Venous Sinus Stenosis page and Cases 1 and 2 of venous sinus stenosis and stenting for more information. 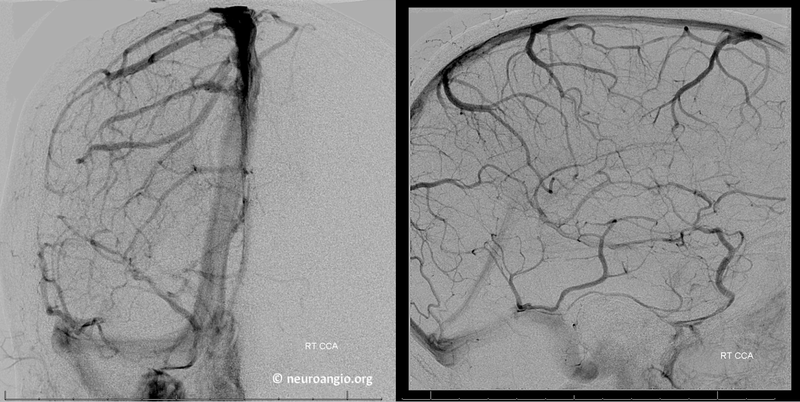 Venous sinus stenosis is frequently associated with post-stenotic dilatation which can also be described as a diverticulum. 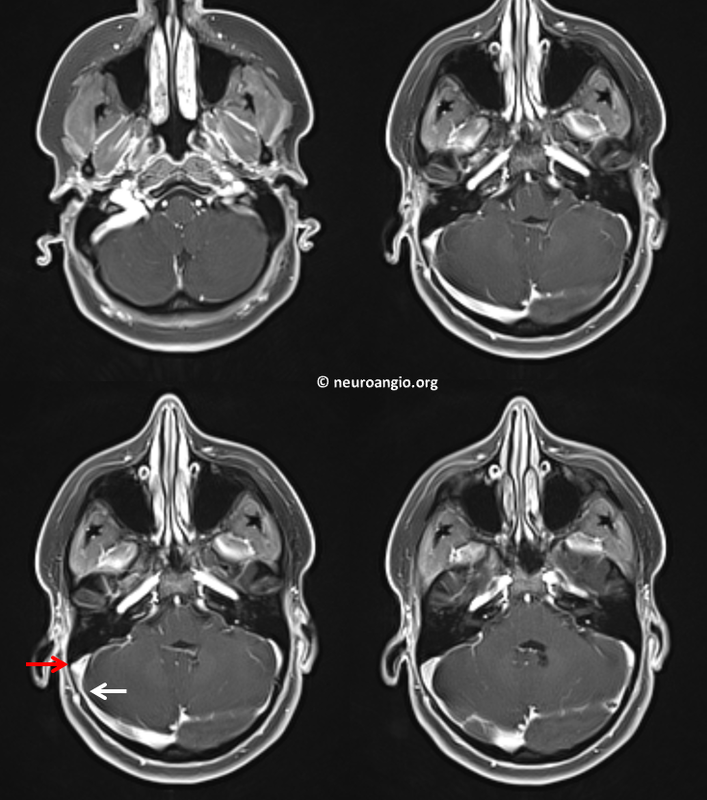 Paradoxically, venous sinus diverticulum is perhaps more often listed as a cause of pulsatile tinnitus than sinus stenosis itself. 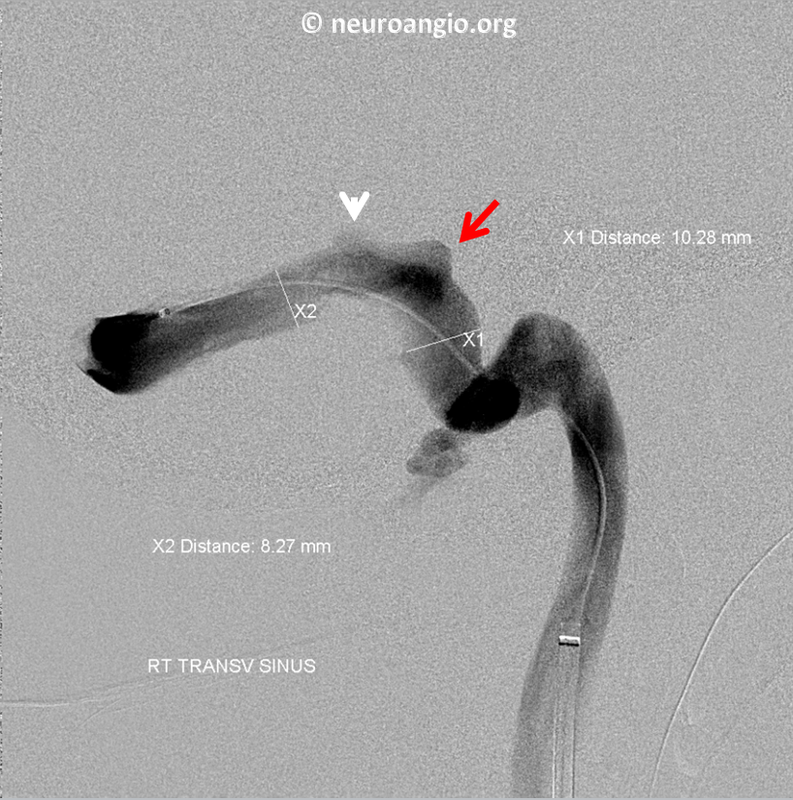 In most literature cases, there is no proof that either diverticulum or the “high riding jugular bulb” — another favorite scapegoat for PT, really did cause PT in cases described. The reason is that in most cases neither case is treated. Most case descriptions do not include critical clinical information such as whether the sound can be suppressed by jugular compression. 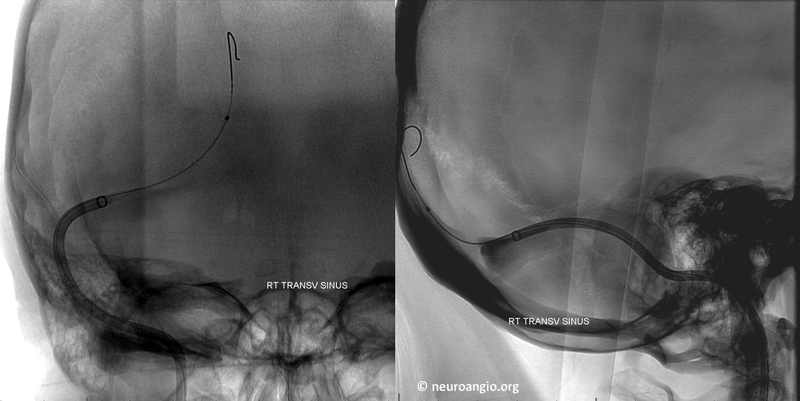 The bottom line is that, in my view, diverticulum is not as important a cause of PT as sinus stenosis. So, this case is shown as an exception, where diverticulum is in the end felt to play key role in PT. However we did encounter an incidental remote mid-vert dissection. We promise we did not cause it. 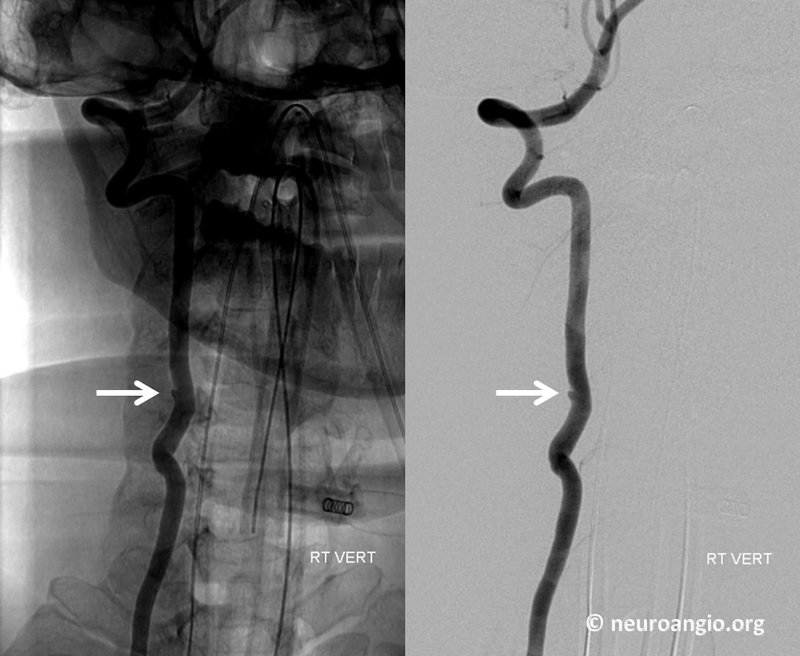 It is important to have faith in your convictions and not let yourself believe that this dissection is a cause of PT in this patient. It is tiny and very low. 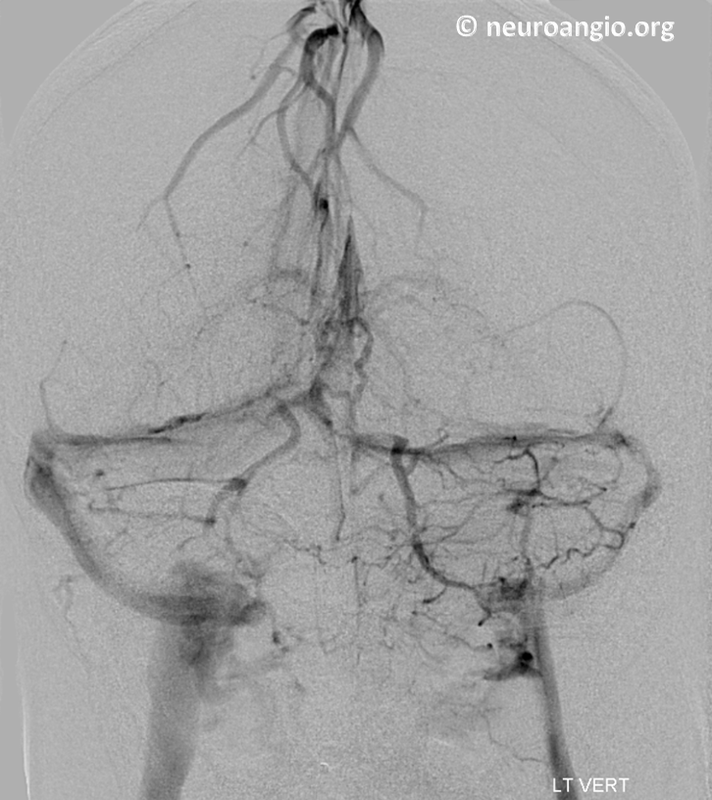 If you want to see vertebral artery dissection-related PT see case here. The patient woke up with no PT, and remains without it. In the end, our feeling is that the diverticulum is the culprit in this case.